CCTVs have become a crucial necessity to ensure safety and security of every organization today. Installation of CCTVs helps prevent accidents, thefts and other undesirable incidents. They enable to keep a close watch over the facility in real time even from remote locations thereby enabling a better management of the business. When you have decided to install a CCTV set up in your campus, you are headed towards enhanced security and peace of mind. Here are the expert tips that will come to your aid to make the CCTV installation project successful. • Know that the basic CCTV cameras feature a low resolution. Therefore they cannot assure a good visibility at long distances. Therefore it is prudent to install the cameras at locations where you can capture the faces of people moving in and out of the facility clearly. Experts say that the ideal locations are the fronts of lifts and staircases on the basement and ground floor. • Place additional cameras to cover the main entrance to the campus including the front gate. This is essential to check what materials people carry inside and outside in addition to keeping a close watch of what the security personnel are doing over there. • There is no point in focusing the camera on the perimeter wall. This is because it will not give you any useful data in case of thefts. You can do nothing by seeing the vague image of someone climbing over the walls. • It is always advisable to position he cameras at a height above the body level so that they are not accessed by hand. • It is very important to place the DVR in a very safe place. Remember you can hardly do anything if the DVR itself is stolen. • From the point of view of safety, select a central position for the DVR with regard to the layout you have finalized in connection to the placement of the cameras. This can save you on the costs of cabling. • If you use IP cameras, then the topic of location is not of much importance. This is because a single Ethernet cable is good enough to transfer the video data from the cameras to the NVR routed through an Ethernet switch. This is similar to how you connect multiple PCs to a server through a LAN. • It is necessary to have a backup power source something like a UPS for the DVR / NVR during power cuts. • You can power analog and digital high definition cameras either from a local power outlet or from a common power supply module placed near the DVR. By using a common power supply, you will incur more cabling costs. However, the big advantage to this set up is you can depend on a single power back up and surge protection to safeguard all the cameras. • IP cameras can be powered from a local power outlet or through a PoE which is otherwise known as Power over Ethernet. Contract an accomplished company to get the best CCTV installation. 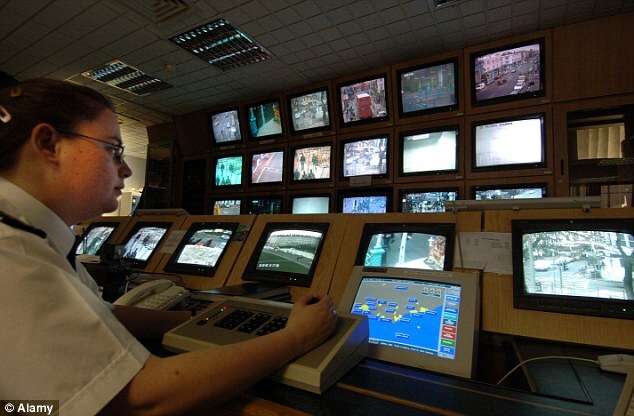 For more information about CCTV Austin and Fire Alarm Austin Please visit : TriStar Security Services.